Ukraine has no money to pay off its public debt and under certain circumstances risks turning into a forever-in-debt country, Jeffrey Albert Tucker, Distinguished Fellow of the Foundation for Economic Education, said. Earlier in August, Ukraine managed to avoid a technical default by paying off its $120 million eurobond coupon. The next payment, $500 million, is due to be made in September. “Creditors are always in a bad situation under these conditions – there’s no money to be had, but they still want their money. But I actually think there’s no chance that Ukraine’s going to be able to pay what they owe, and 5 percent is not going to fix the problem… The creditors are going to have to take a bath this time… Six to twelve months from now we could be looking at another Greece,” Tucker told RT. 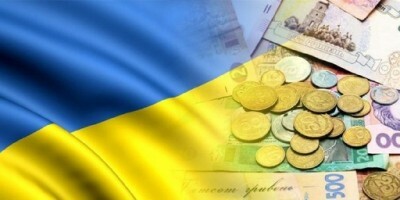 According to the analyst, the new Ukrainian government has taken no significant measures to improve the debt issue. Currently, a default is not the worst scenario in comparison with problems which would result from austerity measures. “The one thing you learn from international politics is that regimes can come and go, but government debt lasts forever unless there’s a default… Nobody wants a default, but if you can’t pay, you can’t pay. The Ukrainian economy is in a free fall and unless they can tap some more money from the IMF – I don’t see any another option. There’s no tax base that can possibly cover a debt this gargantuan,” Tucker pointed out. A Ukrainian governmental delegation arrived in San Francisco for the final round of the talks with the international committee of creditors. Led by Franklin Templeton, the committee comprises the five major holders of Ukrainian bonds worth $10 billion. The memorandum of intent between Kiev and the International Monetary Fund presumes the restructuring of $22.7 billion in debt, including companies’ debts. This provision is the key condition for providing Ukraine with $17.5 billion of financial aid under a four-year program of extended funding.